Gift packaging can cost you more than just the cost of the packaging materials. Gifts that require extensive packaging or are unusual sizes or shapes can take a lot of extra time to prepare for shipment, which can mean that customers are left waiting for their products. Customers who perceive that their items aren’t shipped right away will not be likely to become repeat customers, so it’s important that orders are shipped quickly enough to meet customer expectations. When customers order products online they have expectations about how fast they expect their order to be processed. Most customers expect that their orders will be shipped within two business days unless a business specifies that the order will take a certain amount of time to be shipped. If you don’t meet the customer’s expectations when it comes to processing and shipping time that customer might not buy your product again or recommend your business to friends. Simplifying your gift packaging is a great way to speed up the order processing time. If your gift packaging is ornate, or involves the use of expensive wrapping, ribbons, or other items the processing time to get those gifts ready to ship might be increased. By simplifying the gift packaging that you use you can make it faster and easier for workers to package the gifts and get them to the shipping companies for transport. Additionally, using less gift packaging will lower your per item cost which will help you save money. 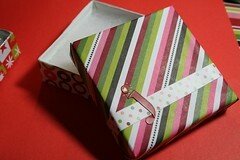 You can still use your gift packaging to build your brand, even if the gift packaging is simple. Try focusing on one signature item of packaging and using that on every item that you send out. Pick a signature piece that can be applied to every item you sell no matter what size the object is, like a custom sticker, custom colored paper, or signature boxes that all the items are sent in. When you pick one signature piece of gift packaging you can buy that item in bulk to save money. Another great way to streamline your gift packaging is to hire a fulfillment service to process and ship orders. The employees at a fulfillment center are trained to package and ship items quickly and can help boost your company reputation with clients by making sure that when clients receive the items they ordered those items are in perfect condition. Outsourced Gift Fulfillment: The Wave of the Future?